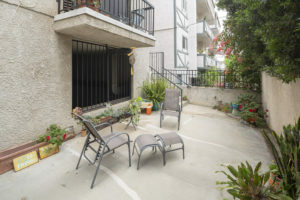 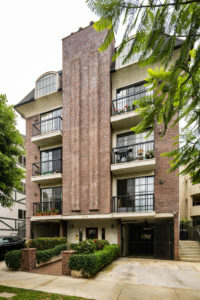 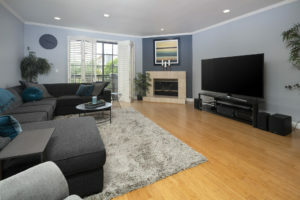 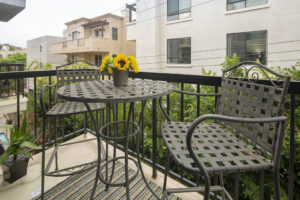 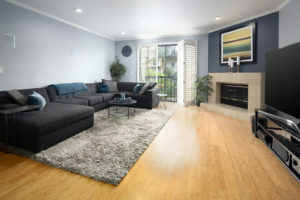 Sunny, front-facing single-level unit in great Westwood location. 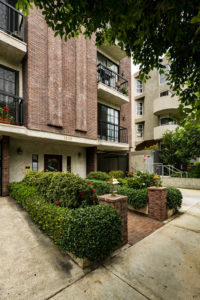 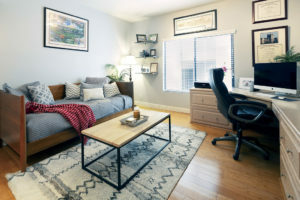 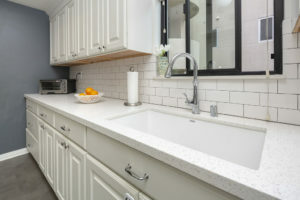 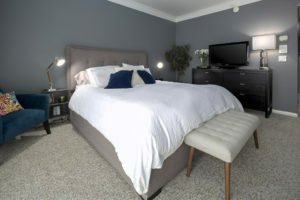 One of only two units per floor in intimate six unit complex. 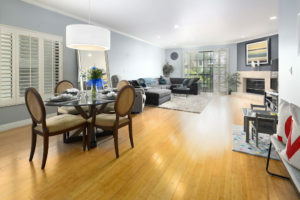 Entry opens into great room with high ceilings, large living area with fireplace and balcony and spacious dining area. 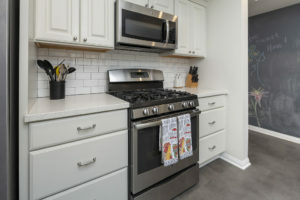 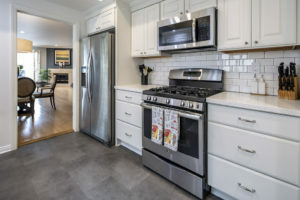 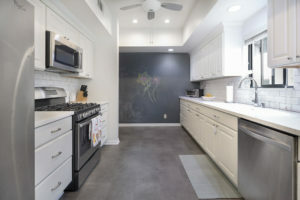 Contemporary kitchen has been recently remodeled with beautiful tile floors, quartz countertops, ceiling fan, and stainless steel appliances. 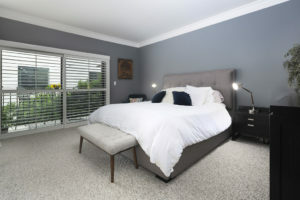 Two large bedrooms, both with plantation shutters and crown moldings, the master featuring two closets, including walk-in. 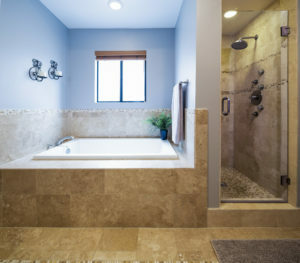 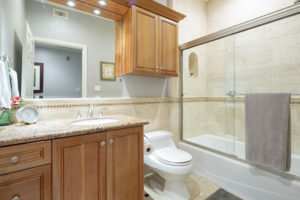 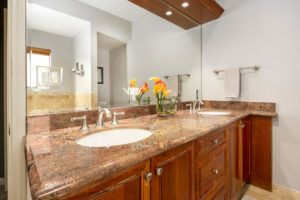 The master bathroom is en-suite and has Travertine floors, dual sinks, and separate shower and soaking tub. 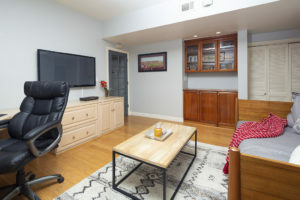 The icing on the cake is a generously-sized den/office with doors that could easily be used as a third bedroom. 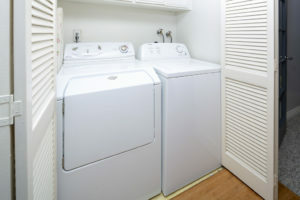 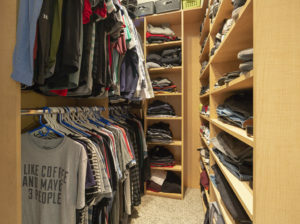 Unit has central air and heat, in-unit laundry, and lots of extra garage storage. 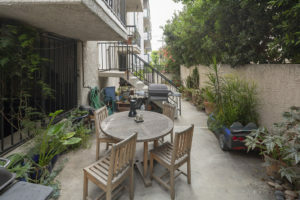 Property is located on a quiet street with beautiful tree views and short distance to Westwood Blvd. 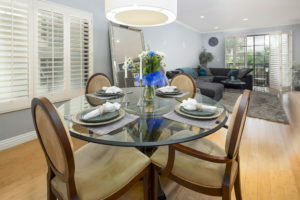 restaurants, Westwood Park, UCLA, Century City and more.